AN elderly man who recently fell and bumped his head in Ballynahinch had to wait almost 50 minutes for an ambulance to arrive, local politicians have been told. 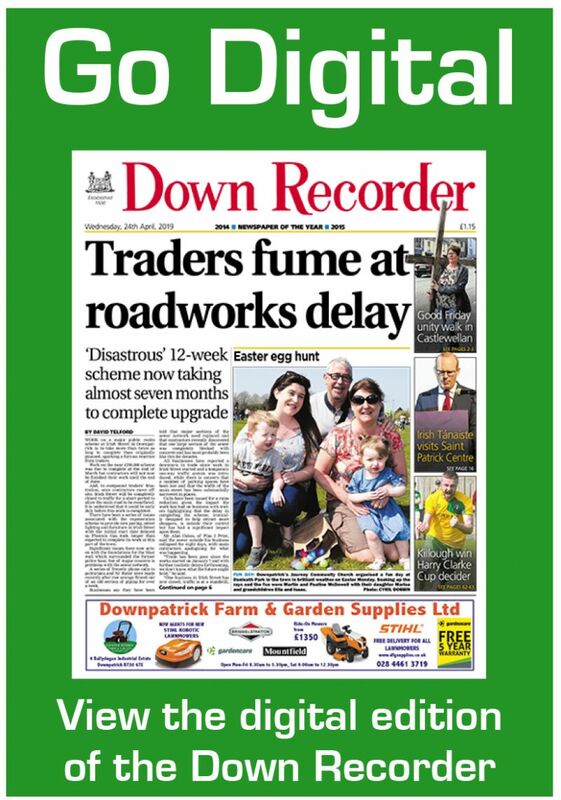 The news was revealed at Monday night’s meeting of Newry, Mourne and Down Council by Slieve Croob councillor Garth Craig. The revelation came just over a month after senior officials from the Ambulance Service briefed local politicians on proposed changes to how the organisation responds to calls are implemented. A review of current despatch procedures by the organisation has resulted in the development of proposals — currently out to public consultation – which officials say aim to provide the most immediate and appropriate clinical response to the most seriously ill or injured. The Ambulance Service insists the proposed changes to the way all calls are categorised is not a cost cutting exercise and nothing to do with achieving targets. They maintained the main thrust is to provide a safer, quality service and that implementing the new model will require the recruitment of an additional 330 frontline ambulance staff over the next three to five years and cost in the region of £30m. During a recent meeting with health campaigners, Northern Ireland’s most senior ambulance official, Michael Bloomfield, conceded that the local community has not been receiving the emergency response that it deserves. On Monday night, Cllr Craig said the Ballynahinch incident reinforced the view of local politicians that ambulance response times across the district must improve. “The elderly man tripped while crossing the road, bumping his head on the pavement where he lay motionless,” he explained. Cllr Craig said there was a person at the scene who was liaising with the Ambulance Service and admitted the 999 call may have been downgraded to a so-called Category B call which may have led to the response time. However, he insisted that Category B calls can also be serious if not life threatening. “It is my understanding the response time for a Category B call is 21 minutes, it took twice this length of time to respond to the injured man in Ballynahinch,” he continued, confirming while he has tried to contact Mr Bloomfield on several occasions to discuss the issue he has as yet been unable to do so. “What happened recently in Ballynahinch recently brings into sharp focus the views many councillors have made about improving ambulance response times in this area. I know I speak for all rural councillors when I say that what happened in Ballynahinch is just not acceptable,” said Cllr Craig. Mournes councillor Henry Reilly said the issue around response times was not due to the number of vehicles the Ambulance Service has at its disposal, but the number of staff.